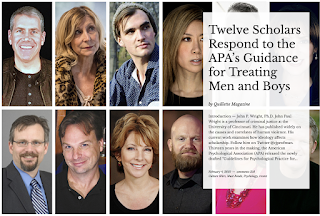 Misogyny and racism often go hand-in-hand so it's no surprise that the people in Quillette who support "race science" are having a meltdown over the concept of "toxic masculinity." I haven't investigated the issue much myself - it's clear that men are overall more violent than women, but there are enough exceptional men - like Fred Rogers for instance - that it appears there is nothing inevitable about individual men being violent. In any case people like Christina Hoff Sommers are paid by the Koch brothers (who fund Reason magazine among other right-wing media) to defend male cultural/economic hegemony and so of course they're going to jump on this issue. But what this article makes clear is that Quillette has by no means dropped its devotion to race science, in spite of its increasing notoriety. 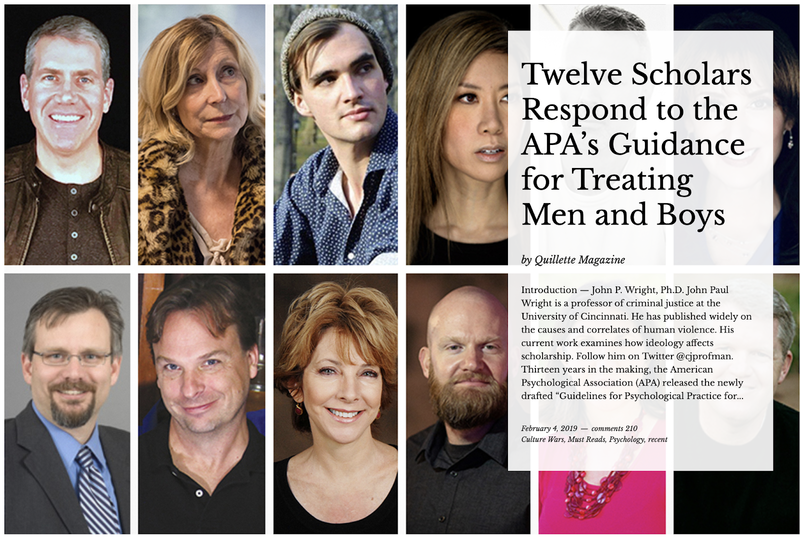 The introduction to the masculinity melt-down is written by John Paul Wright the most blatantly racist "biosocial criminologist." 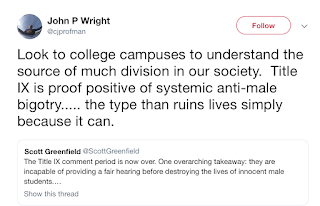 Just as many conservatives believe the real problem in our society is anti-white bigotry, Wright believes our society is in the grip of anti-male bigotry. 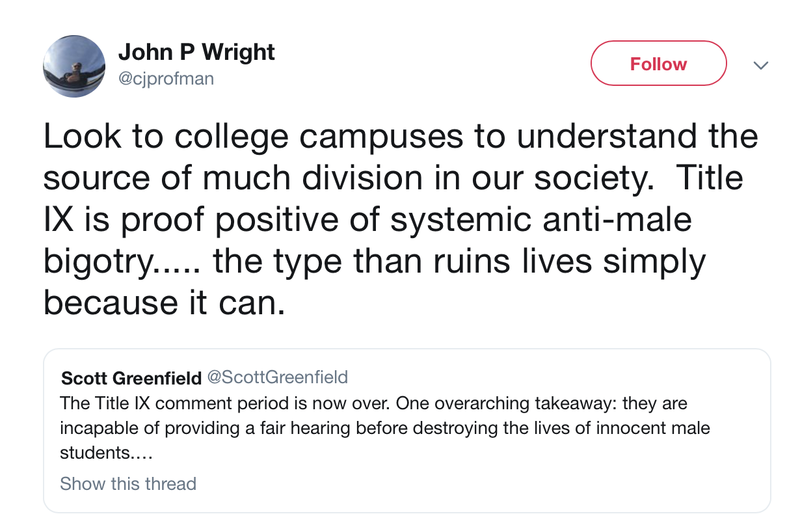 It's clear that in spite of Wright's academic credentials his real passion is conservative politics, made crystal clear by his book and associated web site Conservative Criminology. 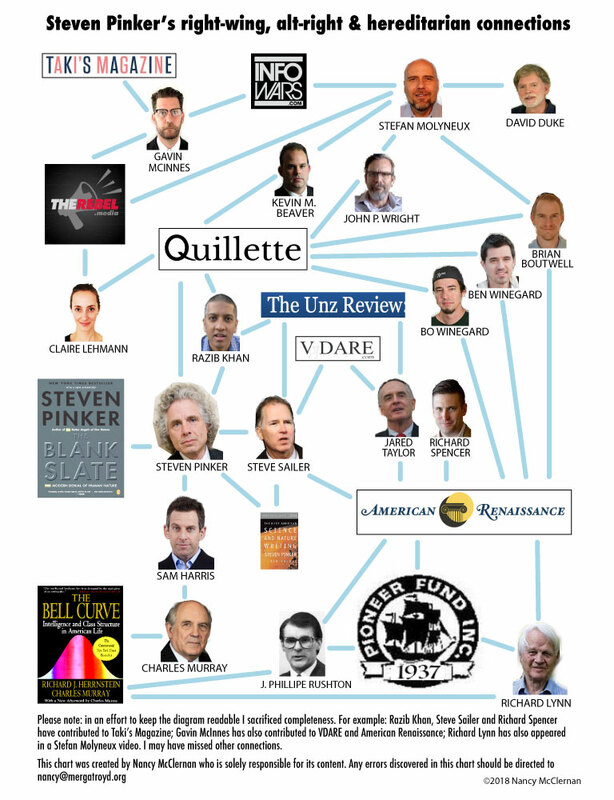 John Paul Wright is the perfect exemplar of Quillette "scholarship." He's also possibly, if my web analytics are correct, the most devoted reader of Pinkerite so far.